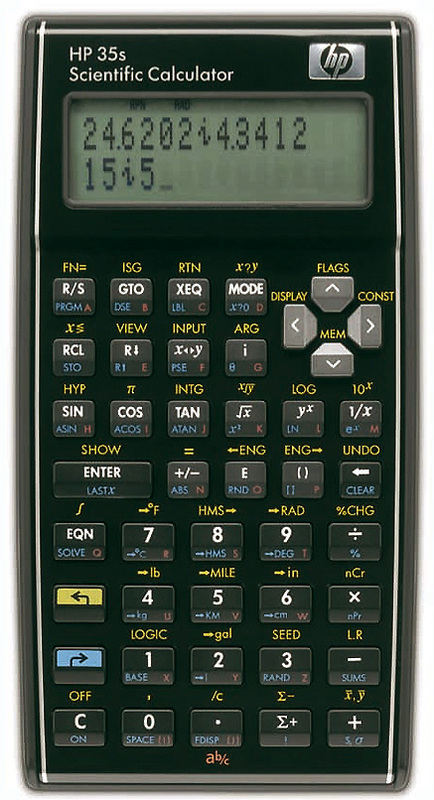 HPCC is a voluntary, independent body run by and for users of handheld and portable computers and calculators. The club has been helping members for more than 20 years to get the most from their Hewlett Packard equipment and to further the exchange of information and ideas. While most members' main interest is in the HP range of models, the club is happy to discuss other models too, at meetings, through the club journal - Datafile, and on these web pages. HPCC is not supported by Hewlett Packard or any other commercial organisation; its activities are funded and undertaken by its members. Click here for more details and free registration. The provisional timetable for the HPCC Conference on the 13th and 14th October is now available. If you're still looking for somewhere to stay, take a look at our updated FAQ. The 5th edition of Wlodek's "A Guide to HP Calculators and Computers" has just been published. This revision of the 2003 edition has more than 40 additional pages covering all the latest HP models. Copies should be available at the HPCC Conference or from www.hpcalculatorguide.com/. The contents of our latest magazine, Datafile V26N4, are now available along with the contents of the HP35S Special Issue. Articles from Datafile V25N4 on HP-12C Platinum Cash-Flow Entry Bug and Integer Division on the HP33S are now available to download in PDF format. A special edition of the club magazine, Datafile, containing reviews and details of the new HP35S has been sent out to club members. Gene Wright's excellent review of the HP35S, contained in the special edition, is available in PDF format for download here. HP has announced the HP35S (PDF link) which is a programmable scientific in the style of classic HP calculators, complete with a large ENTER key and other classic features. HP have published lots of information and tutorials for the HP35S on their website. Click here for an enhanced picture of the HP35S. To celebrate the 25th Anniversary of HPCC and the 35th Anniversary of the HP-35, the October meeting will be over two days: 13th and 14th October 2007 at Imperial College, South Kensignton, London. Click here for more details, including the presentations, free registration and hotels and guest houses in the vicinity of Imperial College. The conference FAQ is now available. Christoph Klug's article on transferring data from an HP41 to EMU41 on a PC via RS232 (from Datafile V25N3) is now available to download. The index of the HP Calculator Web site, from Datafile V22N3, has been updated to reflect the new location on HP's site. An updated Datafile article template for Word is now available here. Christoph Klug's article on transferring data from one HP41 to another HP41 via RS232 (from Datafile V25N1) is now available to download. Jordi Hidalgo's HP39G aplet to enable the CAS, effectively turning an HP39G into an HP40G, is available here. You can now join HPCC or renew your membership using Paypal. Details are on the membership page.